This entry was posted in Toys & products and tagged Glodie Blox, HOney Nut Bee, Honey Nut Cheerios, Lego, Lego Friends, the Hobbit by margotmagowan. Bookmark the permalink. No toys — male or female — would sell if there weren’t stories behind them. I totally agree the creators of those stories need to have a bit more courage and show more equity. Even back in the Regan-dominated era of the ’80s, G.I. Joe (marketed to boys) had four pretty darn strong, and not scantily-clad female characters: Scarlett, Cover Girl, and Lady Jaye on the Joes, and the Baroness with Cobra. As a boy who grew up in that era, I seriously appreciated it. Likewise, when the creators of the Transformers started moving them past the basic trope of “giant robots from space” and they became more inorganic but gendered extraterrestrial life forms. Yes, the first few female Cybertronians introduced were little more than glorified girlfriends for the male characters, but they grew well beyond that fairly quickly. 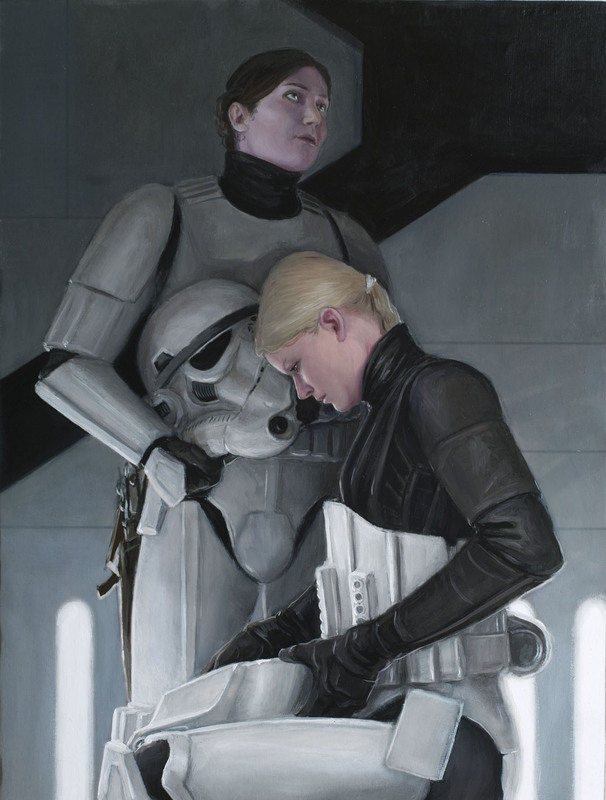 In Star Wars… Well, first of all, what’s pictured above is a Clone Trooper, not a Stormtrooper. Yes, that’s an important distinction. The clone army were all created from one man, so yes they’re all male. After the rise of the Empire, women were even more disenfranchised, due to the Emperor’s bias toward human males only. But. The highest-rankin leaders of the Rebellion were the former Imperial Senators Princess Leia Organa of Alderaan and Mon Mothma of Chandrila — both women. They served as Chief of State of the New Republic that was formed after the Empire collapsed at the end of the films. And, decades and more conflict later, the head-of-state of the Galactic Alliance that evolved out of that was Natasi Daala, a reformed former Imperial Admiral, and the only woman we know of to attain any significant rank in the Emperor’s ultra-patriarchal military. How do you know that Storm Trooper isn’t female? I imagine the Galactic Empire to have been a relatively progressive outfit in terms of gender roles. The Stormtroopers speak with male voices.